1133952216 -This highly accessible, manageable program is user-friendly for instructors, teaching assistants, and students. 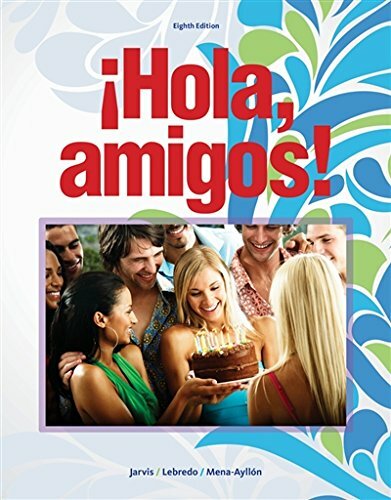 Known for its succinct and precise grammar explanations, its presentation of high-frequency and practical vocabulary, and its overall flexibility, HOLA, AMIGOS! continues to maintain its appeal with instructors regardless of their preferred methodology. The program is designed to develop students’ ability to communicate effectively in Spanish in a variety of situations as well as to strengthen cultural awareness and competence. It offers a full scope and sequence, yet is brief enough to be used effectively for a two-semester course. The eighth edition features an enhanced integration and presentation of culture and new and exciting technology components. All components are fully integrated with the flexibility to accommodate a range of scheduling factors, contact hours, course objectives, and ability levels.